Clearly, the new model has much more detail and a higher polygon count. In my honest opinion, while not a terrible looking game in my opinion, Marvel vs Capcom: Infinite has an issue with how these models, character designs, are expressed. In many ways, I feel the game just lacks color, characters colors seem a bit faded especially when compared to many of the backgrounds which seem just as washed out, if not more than the characters. Unfortunately, at the time of writing this, I only have a Zero model for comparison with the previous game’s counter part, in the near future I hope to have comparisons with all the models. Regardless of the games current presentation, modders are at work and one modder has a very promising shading project underway, one that stands out above any other mods I’ve seen for the game thus far–you know like the dante dante or ultronsigma ultronsigma teams poping up online for the PC version of MVCI. Is this not what we want? Honestly, I know some people couldn’t careless, some still are pining for a truly 2D/Sprite Based Marvel vs Capcom sequel, but having the option to switch between shaders, graphic presentation styles, would be truly amazing! Take a look at a few stills from the video above. I honestly feel that the shading, around the characters bodies and the outlines seem to make the characters truly pop and stand out from the background. This actually looks like a superior version of Ultimate Marvel vs Capcom 3, sans the awesome hud of the previous game of course. Additionally nded has another video showing off what I can only describe as wireframe, but damn near makes the game look like a drawing or painting. I’m wondering if these modifications are thanks to the unreal 4 engine? Seems as if the possibilities for manipulating the presentation could be endless. 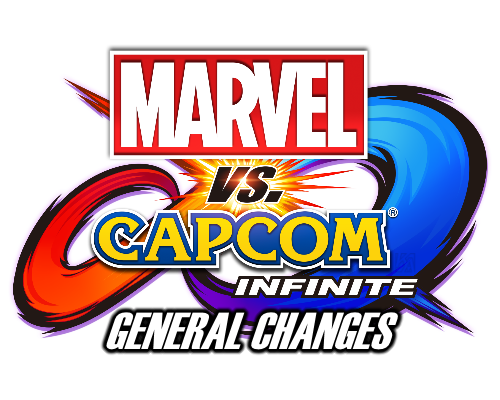 At the end of the day, I’m still happy with the potential this game has for improvement with continuing support from Capcom and Marvel. However, I’m hoping we can get the folks over at Marvel Games and Capcom to take note and increase demand for some sort of implementation of a shader. I’ve tweeted them below and have started a topic on reddits r/mvci please contribute to this if you happen to read this.